Chevy's 2010 Transformers Special Edition Camaro. 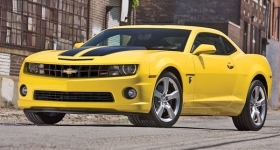 Jim Campbell says the Camaro and Chevy's link to the movie "Transformers" have won young buyers. LOS ANGELES -- Armed with a bigger budget and a new ad agency, Chevrolet says it's ready to win back market share. General Motors Co.'s biggest brand has been on a roller coaster, going from longtime agency Campbell-Ewald to Publicis in April, then to Goodby, Silverstein & Partners in May. Speaking at the Automotive News Marketing Seminar last week, Chevrolet marketing chief Jim Campbell said the agency turmoil is over. "We have settled down," he said. "We wanted a partner who could give us fresh strategic thinking, especially on the digital side." 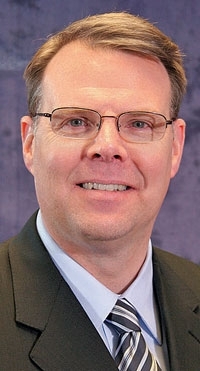 Campbell said Chevrolet has increased digital spending by more than 500 percent in the past five years and will continue to spend heavily on the digital side. "Goodby is the right agency at this time," he said, adding that Campbell-Ewald, the brand's agency of record for 91 years, "will help us all the way through the transition." He added: "This is a big piece of business we will move, and we will move it logically." Chevrolet marketing chief Jim Campbell says the ad agency turmoil is over: "We have settled down." Campbell said Chevrolet already has built significant momentum with its Camaro muscle car and Equinox crossover. He said the brand's marketing relationship with the film Transformers has helped bring younger customers to the Camaro, and he said more than half of the Camaro and Equinox buyers were not GM owners. "We're getting really big with social media users," Campbell said. "They're writing about our products first." Noting that Chevrolet is an underdog in the big Los Angeles market, he said Chevrolet is going to get aggressive with the upcoming launches of the heavy-duty Silverado pickup, the small Cruze sedan and the Volt plug-in hybrid. He said the Cruze will deliver 40 mpg. "This is not a hybrid. Not a hybrid price," Campbell said. "We will focus that in advertising." He also said Volt owners will be able to use their mobile applications to get information on the vehicle, such as when charges or other service is due. He said the brand will roll out those mobile applications for other Chevrolet vehicles as well. "We're getting support from management to build the brands," Campbell said. "Our budgets are strengthened, which allows us to invest in all the products."